If I’m being honest, this reason probably had a lot to do with Bradley Cooper (who is – in my opinion – both uncommonly talented and uncommonly good-looking). But as I started watching the film, I was captivated by much more than just its star. In fact, the moment I knew I was hooked was a scene early on, when Chris (Bradley Cooper), his younger brother Jeff, and his folks were all sitting at the table eating. Jeff was getting picked on at school, and Chris had intervened. At first, the boys’ father misunderstood. He thought they were just beating up on others because they could. So he took off his belt, and told them a story. There are three types of people in this world: sheep, wolves, and sheepdogs. Some people prefer to believe that evil doesn’t exist in the world, and if it ever darkened their doorstep, they wouldn’t know how to protect themselves. Those are the sheep. Then you’ve got predators, who use violence to prey on the weak. They’re the wolves. And then there are those blessed with the gift of aggression, an overpowering need to protect the flock. These men are the rare breed who live to confront the wolf. They are the sheepdog. Their dad went on to explain that he wouldn’t tolerate any sheep or wolves in his household. When the boys explained what had occurred – that Jeff was being beaten up by bullies and Chris intervened – their dad asked Chris, “Well, did you finish it?” Chris nodded. As I was popping around here and there online while writing this post, I realized this story resonated with lots of viewers. I am glad. I too want to be a sheepdog….even on the days when I feel like a sheep, and even on the days I desperately wish I was a wolf instead. Several members of my family have served in the military, and friends also. So I know there are many ways to look at war and the actions taken by our sheepdogs versus the sheepdogs from other not-so-friendly fellow countries. But – and this reminds me of another new favorite movie I posted about earlier this year, Divergent – I also believe we all have paths, tracks, callings, whatever you want to call it. Some of these callings, like Divergent’s own five factions (amity, candor, erudite, abnegation, dauntless), are rather neat and distinct. Others, like Tris’ own divergence (i.e., “not fitting neatly into any one of the other five options”) can be more easily feared, critiqued, and misunderstood. 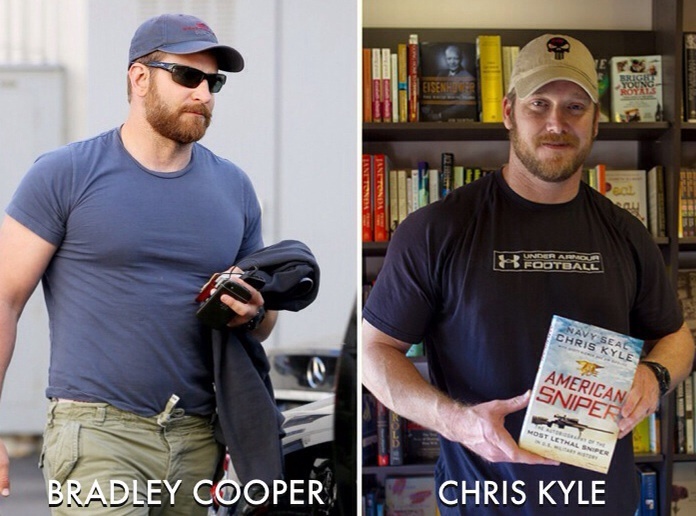 I believe Chris Kyle was dauntless, and also divergent. I say this because he was a sheepdog who followed his heart and his gut and didn’t change who he was or how he acted based on feedback from those around him. I also realize as I type this that, were Chris Kyle alive today to read it, he wouldn’t care one bit what I think. Dauntless + divergent in a nutshell. But I care about what I think, and how I process Chris Kyle’s story, because in many ways he has just become a powerful mentor in my own life. According to folks who knew Chris Kyle well, he was unstoppable once he had a cause he believed in. If that cause was directly linked to helping fellow Americans and people he cared about, the effect was even more powerful. This is so important! For me personally, it is especially important because as I grow older, I am learning more and more that we each process our callings to do similar-type things in very different ways. For instance, I am also a sheepdog and a warrior, but I am not a sheepdog and a warrior in the same way that Chris Kyle is a sheepdog and a warrior. In fact, if I had to place myself somewhere, Divergent-style, I would say I am a fairly even mix of abnegation + divergent. For instance, I do not thrive under pressure. I look terrible in khaki. I have very poor upper body strength…and my lower body strength isn’t that great either. And if someone shoots at me, throws anything at me, or even looks at me harshly I will probably hide and/or run (depending on what seems quicker). So I wisely choose to do my warrior-ing in other ways. But this also means I am very, very, VERY grateful for the Chris Kyles of this world who will stand on a wall and keep watch – and shoot if need be – to protect me from anyone looking to end my own unarmed sheepdog days prematurely. I may not like that we live in a world with so much conflict, so many types of ammunition, and so many struggles for power, money, and resources. But that doesn’t change the reality of the world we live in. In this kind of world – our world – we need many kinds of sheepdogs with many different callings standing up for the young, the old, the innocent, the ill, and all the others who need standing up for. All that to say – from me to you, Chris Kyle and family – thank you! Today’s Takeaway: Popular or personal opinion on war aside, where would you place yourself? Are you a sheep, a wolf, a sheepdog? Do you see yourself as dauntless, as erudite, as one of the other factions or divergent? Where do you find your “fit” in our world to be able to follow your unique calling?